One of the most fun and exciting parties you’ll probably ever want to throw is a bachelor or bachelorette party. While we don’t want it to end up like the movie Bridesmaids, we’re sure that you still want it to be a fun experience. We’ll be giving you a few ideas on how you can have a great time, what you can make for your guests and make sure that everyone will remember the party for years to come. First things first, you’ll want to get the favors ready for your guests. We came up with the idea of individualizing each martini glass for each guest that comes to your party. 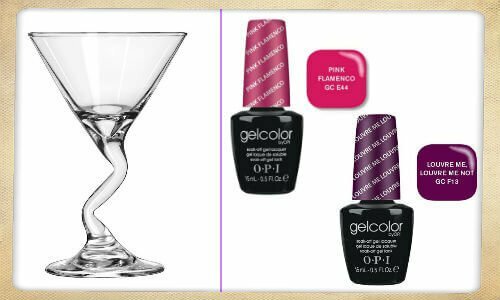 Simply take some gel nail polish and write the guests name on the base of the martini glass. They’ll not only have something they can take home with them but everyone will know whose glass is whose. The second fun aspect of the night that you’ll want is to create a signature drink that will be served throughout the night. WE recommend having one drink because it makes it easier to buy supplies and to make for everyone. Here’s one idea for a fun, tasty drink that all your girlfriends will love. Measure each liquid equally so there is a third of everything in the shaker. Shake until the ingredients have been mixed and it has a pinky/purple color and serve in a chilled martini glass. Make it even more delicious with chocolate shavings as the garnish. While games may seem silly to have at a party, they can actually be very fun. Something that would be a nice party game is to write out quiz questions to ask the bride-to-be about her fiancé to see how well they know each other. This can be the same for any girl at the party that has a significant other. You should also make sure to have food that would go well with the drink and goes with the theme of the wedding that you’re planning. That’s it for tips on how to throw a great party for everyone! What are your best tips for throwing a party? Let us know in the comments below!